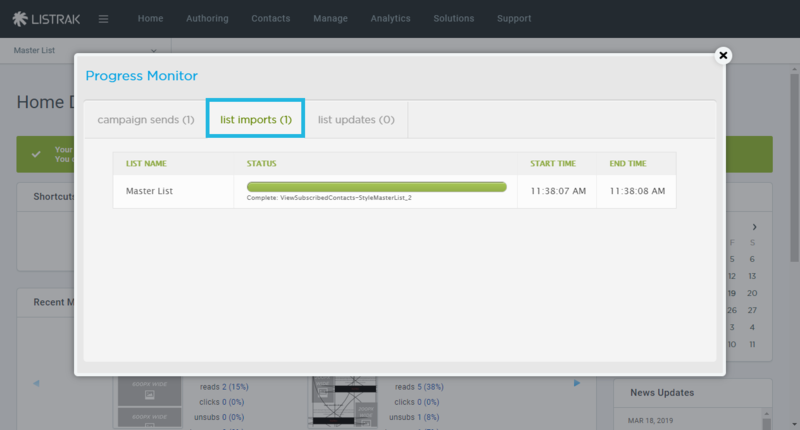 Learn how to monitor the status of your list sends and imports. The progress monitor allows you to see current processes that are processing, have just been completed, or queued on your account. 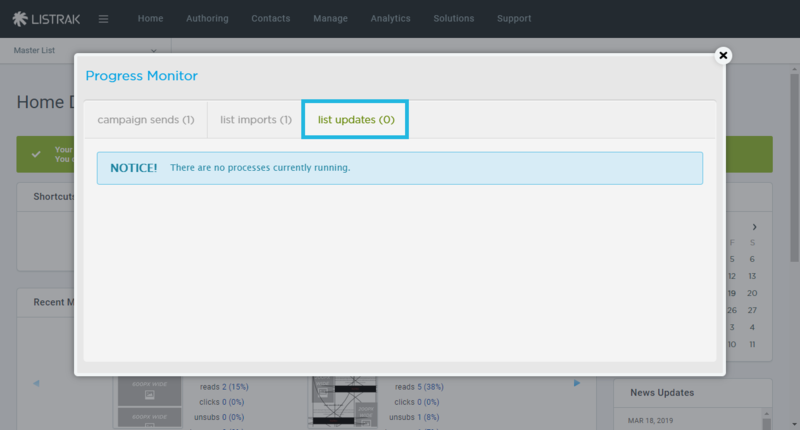 Completed processes will only be shown in the progress monitor for recent activity within about one hour. Each section includes the list name, status, as well as the start and end time. Navigate from the home menu to Home. Campaign sends include any messages that are sent from your account. 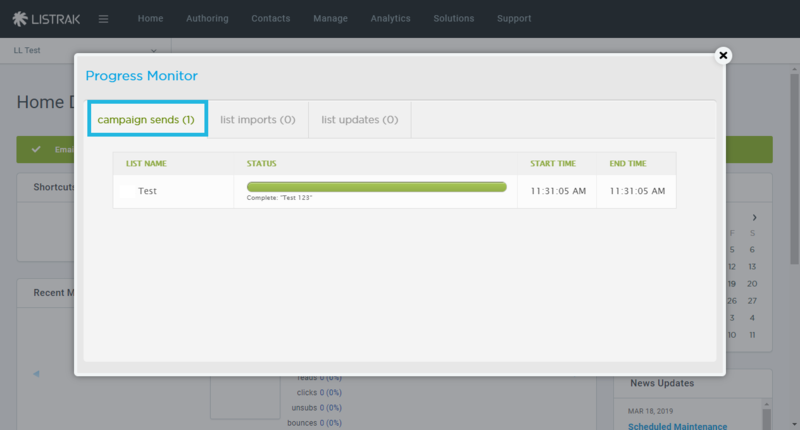 List imports are any imports from your API calls or from the import list wizard. Read more about it in Import a List of Contacts. List updates can be for any list that was recently linked to a suppression list. The process involves moving contacts from the list over to the suppressed list. If no processes are currently running, you'll see a blue notice as shown below.